We hope you enjoy the current edition. If you have any comments or any news you would like us to share, please let us know: newsflash@euforumrj.org. If you want to let others know about this newsflash, please forward it to your friends or colleagues and invite them to sign up on the EFRJ website! If you missed the previous editions, click here! 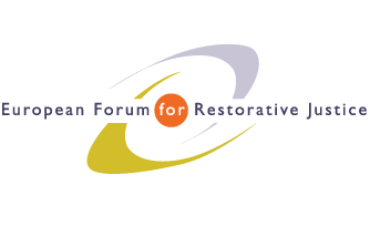 The European Organisation of Prison and Correctional Services (EuroPris) interviewed EFRJ director Edit Torzs who talks about RJ in prison settings, the new CoE Recommendation on RJ in criminal matters, the EFRJ activities and much more. To know more about these topics join us in Bilbao for the EFRJ Symposium. Click here to view the full Newsletter. In the past weeks our Board members engaged in different initiatives. Among others, Brunilda Pali was interviewed for the series Bright Young Minds by KU Leuven, Bart Claes initiated a new 5-year partnership with the Dutch Prison Service, Katerina Soulou was interviewed on RJ in sexual violence for a French magazine, Annemieke Wolthuis participated in the launch of the RJ Academy in the Netherlands, Tim Chapman spoke in events across Europe and beyond. If you wish to join the EFRJ membership, or simply renew your current one, please do so before May, so that we can present the actual membership directory to the Annual General Meeting (Bilbao, 4 June, just before the EFRJ Symposium). 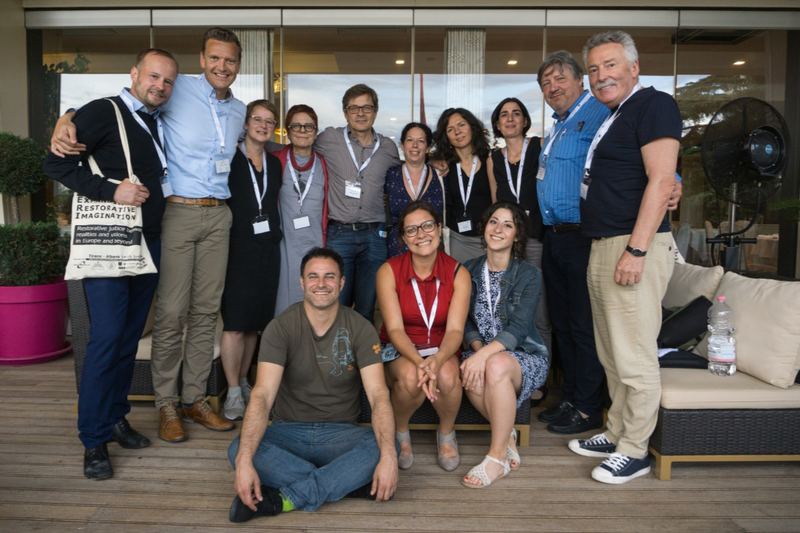 Members benefit from special discounts to our events, receive the EFRJ Newsletters with articles from the field, get a reduction on the International Journal for RJ, can take part in our committees and working groups, and much more! The current EFRJ membership counts more than 400 members, including many organisations: make sure to be one of them! EFRJ Symposium: Submit your proposal now! 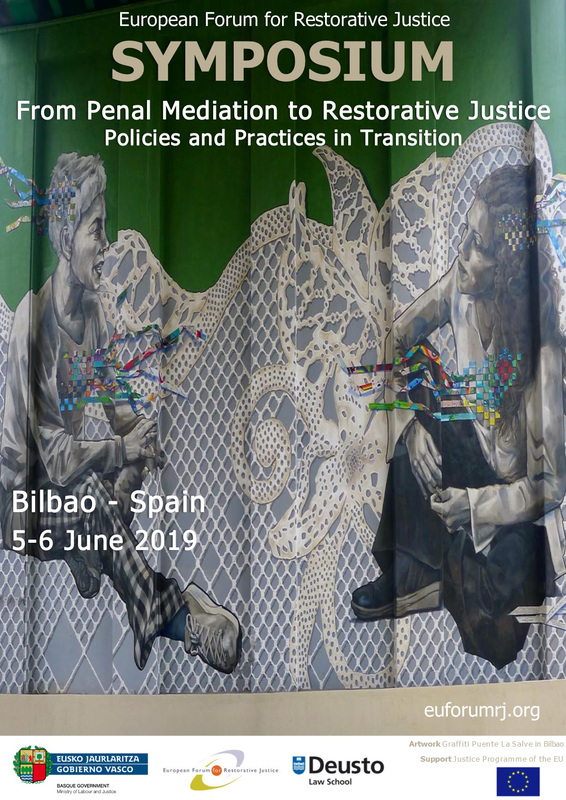 Last weeks to submit your proposal and contribute to the programme of the EFRJ Symposium (Bilbao, 5-6 June)! The deadline is 12 April. This event is particularly interesting for professionals working in prison, probation, juvenile justice, and obviously for RJ practitioners, researchers and policymakers interested in making RJ more accessible, especially in those cases where there is more resistance on the use of RJ (e.g. domestic violence, sexual violence, terrorism). Register before 20 April! This is another great opportunity not to miss this Summer! 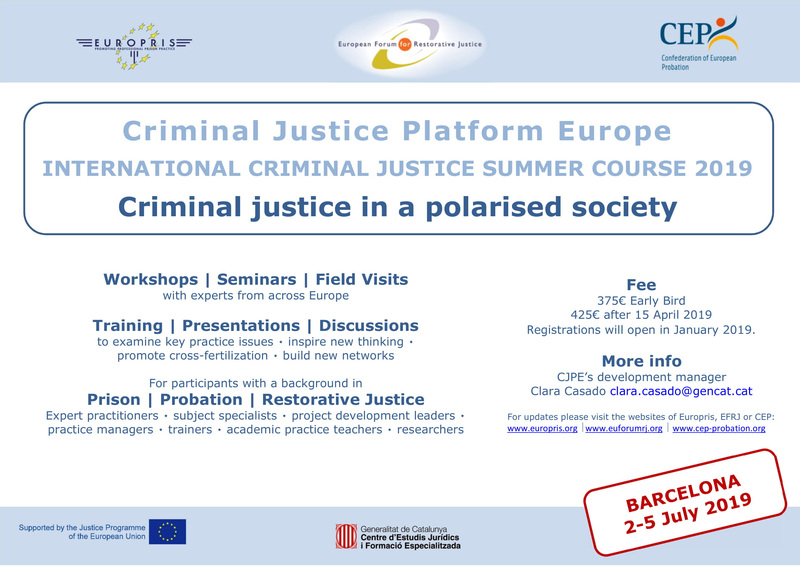 The Criminal Justice Platform Europe (EFRJ, Europris and CEP) organises the Criminal Justice Summer Course entitled “Criminal Justice in a Polarized Society” (Barcelona, 2-5 July). The EFRJ trainers will deliver a series of workshop based on case studies and practical tools for conflict transformation, dialogue and social inclusion. You can register now. 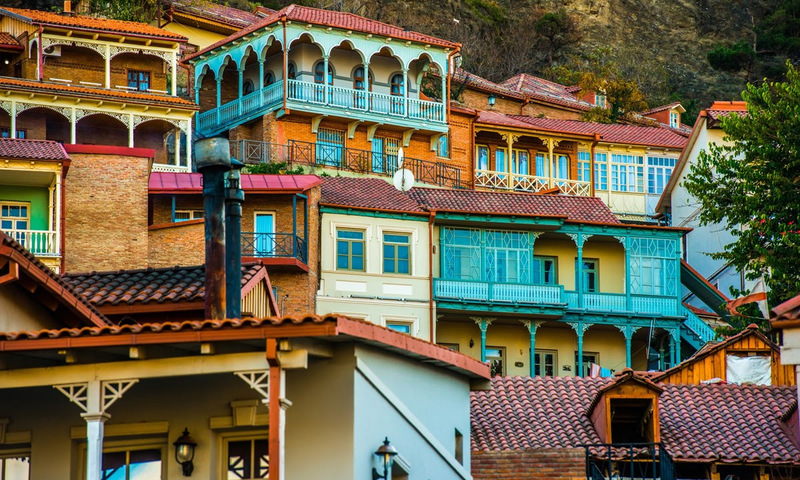 The EFRJ is partner in the organisation of the regional conference on RJ organised in Tbilisi, Georgia on 15-16 April, with the goal to promote RJ mechanisms in criminal justice for both juveniles and adults. 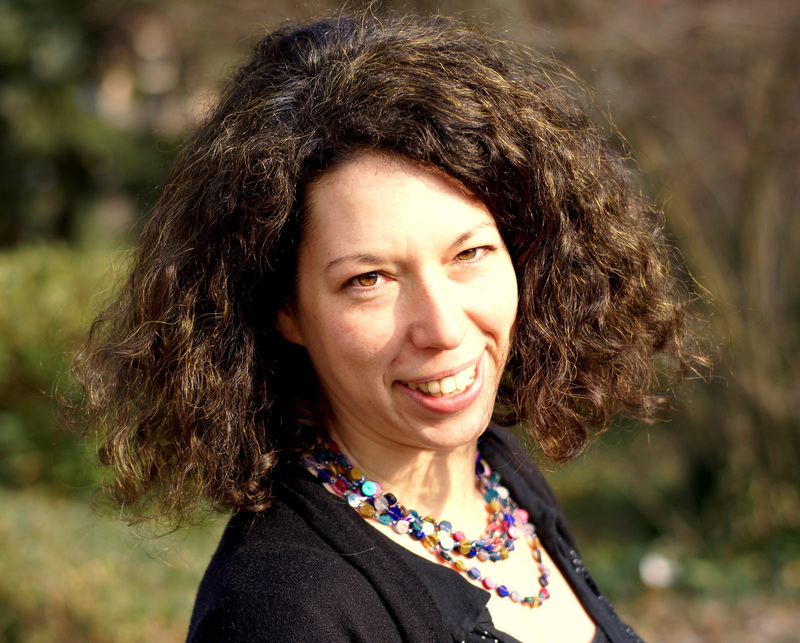 Among the experts, several EFRJ Board members will take part in the programme: Tim Chapman (Northern Ireland), Annemieke Wolthuis (The Netherlands), Roberto Moreno (Basque Country), Aarne Kinnunen (Finland), and Lars Otto Justad (Norway). 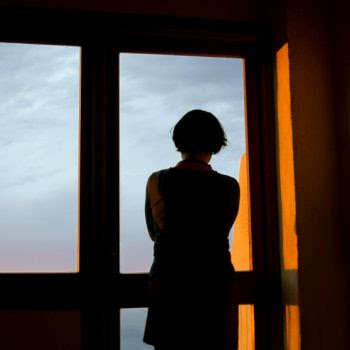 In the report “We Are Here: Women’s Experiences to the Barriers to Reporting Sexual Assaults“ one woman emphasized the need for rehabilitation of offenders rather than punishment and vengeance; also, “she would feel empowered by a restorative model of justice that would create space for her to communicate her perspective”. 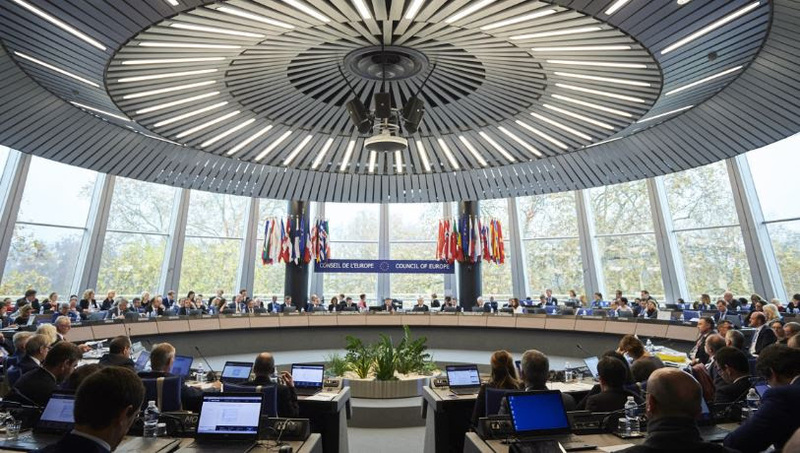 Last October, the new Council of Europe Recommendation concerning RJ in criminal matters was adopted. It has now been officially translated to Spanish thanks to the support of the Basque Government, partner in the organisation of the EFRJ Symposium dedicated to the implementation of the Recommendation. 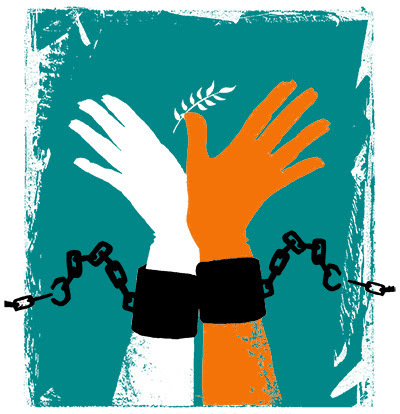 The documentary Disturbing the Peace follows former enemy combatants – Israeli soldiers from elite units and Palestinian fighters, many of whom served years in prison – who have joined together to challenge the status quo. The film reveals their transformational journeys from soldiers committed to armed battle to nonviolent peace activists, leading to the creation of Combatants for Peace.